With the proliferation of substance abuse related to prescription medications and party drugs like Ecstasy, we don’t hear much about the dangers of crack cocaine addiction. The fact remains it’s still a serious problem throughout the country. As such, it’s important that people addicted to crack be aware that crack addiction treatment is still effective and available for anyone who is willing to reach out for help. Due in large part to its potency, crack is a highly addictive substance. For those unfortunate individuals who are dealing with this type of addiction, life becomes a vicious cycle of searching, buying, using and starting the whole process over again. Those who try to stop using on their own usually fail. The people who try treatment alternatives from the internet usually meet the same fate. Time and again, it’s only treatment from reputable addiction treatment programs that work on a consistent basis. Of course, no one wants to spend 30 days or more in a treatment facility. It becomes necessary when one needs to break the cycle of addiction and the other alternatives are simply non-starters. Fortunately, the high success rate of crack addiction treatment from a rehab facility has no peer. Patients are quick to learn that the time they invest in treatment is the only viable way back to a normal way of living. On the reliability scale, inpatient treatment creates the highest level of success for crack addiction treatment. Crack addiction is a terrible foe. It requires that the patient strictly adheres to the treatment process in order to have a realistic chance of finding and staying on the road to recovery. Inpatient treatment and therapies give the patient ample opportunity to work through the issues that could be creating the need to use crack. As an alternative, some addiction counselors might recommend and agree to some form of outpatient treatment. This is usually done to accommodate the patient’s lifestyle or personal needs. It’s also a methodology that clinicians and counselors use when the patient’s addiction is less intrusive. If the patient has a strong support group, counselors and patients might prefer the outpatient treatment option. 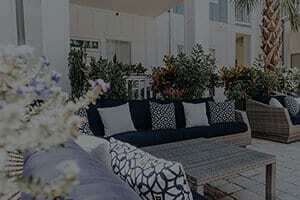 As a highly acclaimed treatment center in the Florida, the “rehab capital of the world,” Beaches Recovery has earned a great reputation for providing first-class treatment. From the moment a patient first walks in the door, everything is about recovery. The process starts with an intensive admissions interview process. Our counselors use this time to determine the patient’s needs and the depth of the addiction. When necessary, we facilitate detox programs to help the patient rid themselves of the harmful substances in their system. Once the patient is ready for treatment, our counselors begin the process of developing a treatment plan, using one of the methodologies listed above. After intensive addiction counseling and therapy, we teach our patients the coping skills they will need to stay focused on recovery. In the event a discharged patient feels they need additional help, we can provide access to some excellent aftercare programs that include 12-Step programs, transitional and sober living options as well as aftercare therapy. At the end of the day, we measure our facility’s success by the ability of our patients to stay clean. Are you or a loved one suffering from an addiction to crack cocaine? We want to offer you the best crack addiction treatment available. The first step towards your recovery requires that you admit you need help. When you get to that point, Beaches Recovery is ready and willing to help you through the treatment process. To speak with one of our counselors, give us a call at 866.605.0532.